Said one commenter: "Democracy is the worst form of government until you compare it to all the others." Stubbornness and lack of wit are not the cause of conflict between Democrats and Republicans, writes CNN legal analyst Jeffrey Toobin. They disagree because they have "profound ideological differences" over whether government can be a "useful social engine to protect the environment, help the poor and build the economy." And this conflict, he writes, is part of democracy. Some CNN.com readers disagreed that the present conflicts are a sign of healthy democracy. The rest argued over political ideology. mooseman316 said, "What an insipid piece of claptrap. Conflict is a flaw; overcoming conflict is what our government is all about. We are not overcoming anything and that is the flaw in the system." hippediva said, "Conflict? I think he means compromise, a word all the idealogues forgot long ago when they learned to bully their way to 'victory,' even if it means breaking the whole to satisfy the very few." 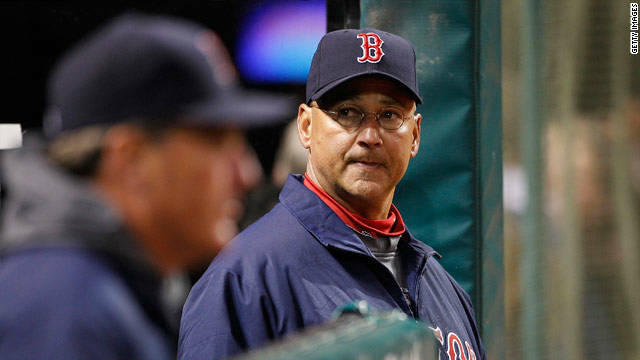 Terry Francona will not return as manager of the Boston Red Sox following the team's end-of-season collapse that kept the storied franchise out of the playoffs. The Red Sox will not exercise its option years on the contract of the manager, who led the team to two World Series championships during his eight seasons in Boston, according to a team statement. Boston went 7-20 this September, allowing the Tampa Bay Rays to pass them for the American League wild card playoff spot on the last day of the regular season. 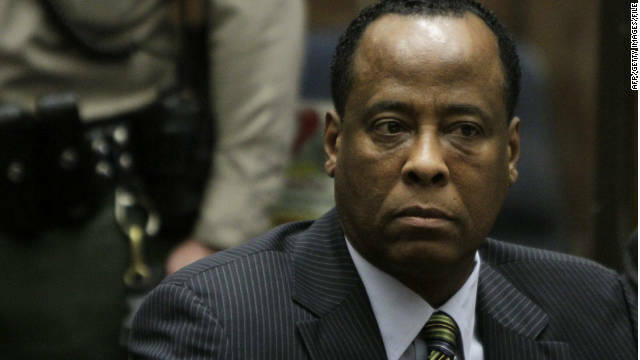 Dr. Conrad Murray is charged with involuntary manslaughter in the 2009 death of pop icon Michael Jackson. 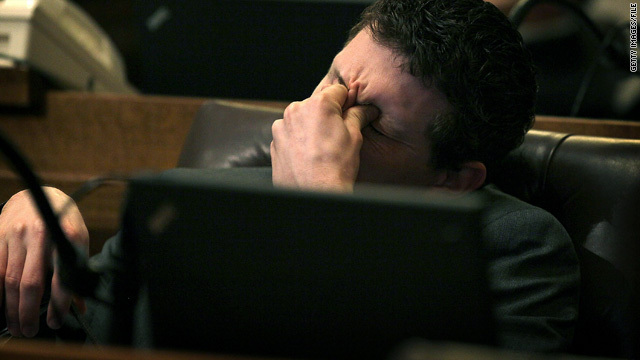 A Los Angeles County paramedic who responded to the delayed 911 call from Michael Jackson's home the day he died testified Friday in Dr. Conrad Murray's involuntary manslaughter trial that Jackson was "flatlined" and appeared dead when rescuers arrived. Paramedic Richard Senneff said that at no time during the 42 minutes he was with Jackson on June 25, 2009, did he see any signs of life in him. Paramedic Martin Blount, who drove the ambulance, began his testimony later Friday, the fourth day of Murray's trial. Deputy District Attorney Deborah Brazil asked Blount about his initial assessment of Jackson's condition when he arrived. "I felt he was dead, ma'am," Blount said. 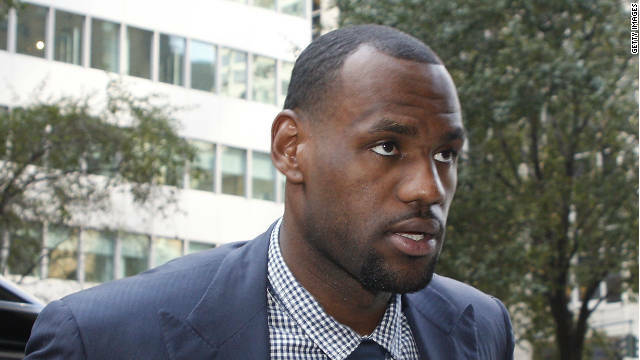 Miami Heat star LeBron James arrives at NBA labor talks in New York on Friday. NBA fans might know by the end of the weekend if the regular season will start on time November 1, with team owners and locked-out players gathering in New York for crucial talks aimed at a new labor deal. Deputy commissioner Adam Silver told reporters this week that the league is “getting very close” to having to delay the regular season if significant progress isn’t made in this weekend’s talks, which began Friday. Commissioner David Stern may have gone further, warning Wednesday of “enormous consequences” if progress isn’t made. “Then it won’t be a question of just starting the season on time, it will be a lot at risk from the absence of progress,” he said. The owners’ labor relations committee and a players’ committee – joined by some stars who aren’t on the players’ panel, such as LeBron James - were meeting Friday, and could meet Saturday and Sunday, according to NBA.com. Team owners have locked out their players since July, when the last collective bargaining agreement – a contract between the teams and the players union which outlines the rules of the players’ pay – expired. One key issue has been the owners’ demand for a hard salary cap, driven in part by claims that 22 of 30 teams lost money last season. Jensen Farms in Colorado has recalled Rocky Ford whole cantaloupes that were shipped between July 29 and September 10. 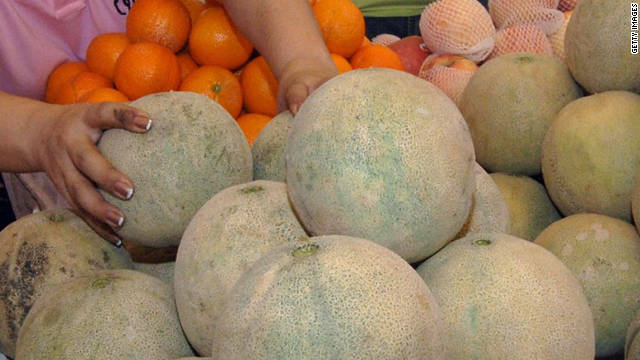 Two more people have been killed by consuming cantaloupe contaminated by Listeria monocytogenes bacteria, raising the outbreak's death toll to 15, the Centers for Disease Control and Prevention said Friday. The two additions to the death toll include one person in New Mexico and one in Colorado, according to the CDC. The totals are now five in New Mexico, three in Colorado, one in Kansas, one in Maryland, one in Missouri, one in Nebraska, one in Oklahoma, and two in Texas. Eighty-four illnesses in 19 states have been reported, the CDC said. The outbreak was first reported September 12. It was traced to consumption of Rocky Ford cantaloupes grown at Jensen Farms' fields in Granada, Colorado. The farm has recalled Rocky Ford whole cantaloupes that were shipped between July 29 and September 10. A panel of Florida legislators bucked national Republican Party rules Friday and approved a motion to hold the state's presidential primary on January 31. The move, crafted to ensure that Florida goes fifth in the nominating process, is certain to scramble the presidential primary calendar and push the first contest of the GOP nomination fight into the early days of January. Iowa, New Hampshire, Nevada and South Carolina - the only four states allowed to vote before March 6 under Republican National Committee rules - have collectively vowed to move the dates of their caucuses and primaries ahead of Florida to protect their early voting status. If those first four states move to the front of line as expected, the campaign for the GOP nomination will officially begin a full month earlier than expected, leaving candidates and potential candidates like Sarah Palin and Chris Christie even less time to make their cases to voters. Already, in response to Florida's move, New Hampshire has moved up the date by which presidential candidates must file an intent to compete. That deadline is now October 28, meaning potential candidates such as Christie and Palin have less than a month to decide whether to compete in the Granite State primary. American-born Muslim cleric Anwar al-Awlaki was killed Friday in Yemen, the nation's Defense Ministry said. [Updated at 12:21 p.m. ET] The airstrike that killed militant American-born cleric Anwar al-Awlaki in a car in Yemen came from a U.S. drone, a government source who was briefed by the CIA told CNN. Three others, including Samir Khan, an American of Pakistani origin, were killed with al-Awlaki, reported Yemen's state-run Saba news agency, citing an official security source. [Updated at 11:59 a.m. 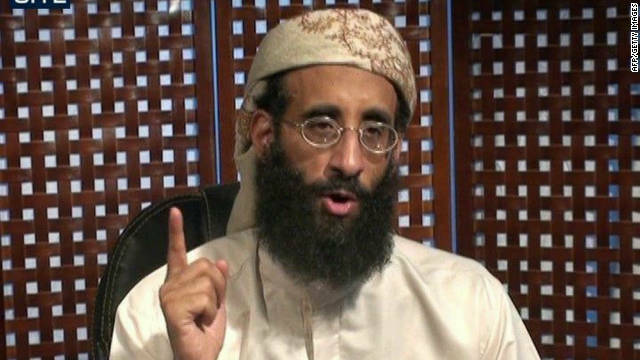 ET] The airstrike that killed radical cleric Anwar al-Awlaki was part of an American counterterrorism program that "violates both U.S. and international law," said American Civil Liberties Union Deputy Legal Director Jameel Jaffer. "This is a program under which American citizens far from any battlefield can be executed by their own government without judicial process," he said. [Updated at 11:53 a.m. ET] U.S President Barack Obama said Friday's death of American-born Muslim cleric Anwar al-Awlaki is a major blow for al Qaeda in the Arabian Peninsula and marks another milestone in the effort to defeat the terrorist network. Al Qaeda in the Arabian Peninsula remains a "dangerous but weakened" threat that calls for continued vigilance on the part of the United States despite al-Awlaki's death, Obama said. 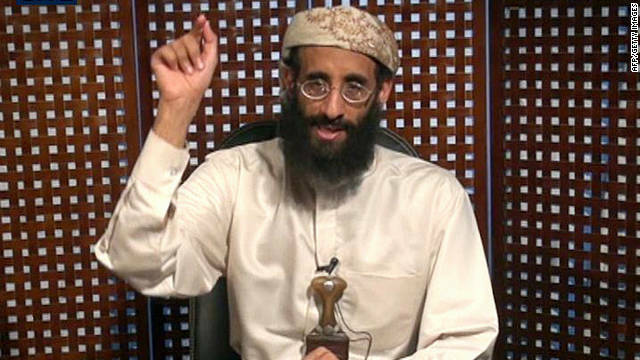 Al-Awlaki - whose fluency in English and technology made him one of the top terrorist recruiters in the world - was killed Friday in an airstrike in Yemen, officials said. The United States regarded al-Awlaki, the public face of al Qaeda in the Arabian Peninsula, as a terrorist who posed a major threat to American homeland security. Western intelligence officials believe al-Awlaki was a senior leader of AQAP, one of the most active al Qaeda affiliates in the world. It has been linked to the attempt to blow up an airliner over Detroit in December 2009 and a cargo plane plot last year. [Updated at 11:25 a.m. ET] Samir Khan, an American of Pakistani origin specializing in computer programming for al Qaeda, was killed Friday with cleric Anwar al-Awlaki, a Yemeni security official told the state-run news agency, Saba. Khan was also the principal author of Inspire, an online magazine for the terror network. [Initial post] Friday's death of American-born Muslim cleric Anwar al-Awlaki, announced earlier in the day, happened when an airstrike hit his motorcade, a Yemeni government official told CNN. The source would not say who carried out the strike. The United States regarded al-Awlaki, the public face of al Qaeda in the Arabian Peninsula, as a terrorist who posed a major threat to American homeland security. Western intelligence officials believe al-Awlaki was a senior leader of Al Qaeda in the Arabian Peninsula, one of the most active al Qaeda affiliates in the world. It has been linked to the attempt to blow up an airliner over Detroit in December 2009 and a cargo plane plot last year. Anwar al-Awlaki was believed to be hiding in Yemen. Overheard on CNN.com: Legitimate kill or illegal assassination? An American recruiter for al Qaeda was killed in an airstrike in Yemen Friday, a result of a "successful joint intelligence-sharing operation" between Yemen and the United States, a Yemeni government official said Friday. "It can't be understated, the inspirational figure he was," said CNN National Security Contributor Fran Townsend, AQAP's "ability to recruit new people and to raise money will be severely diminished." Most CNN.com readers praised the airstrike, but a few said al-Awlaki should have been captured and brought to trial. NobelFail said, "Gotta love drones! The new silent killers. Keep up the good work!" UnitdWeStnd said, "It wasn't long ago that al Qaeda seemed almost invincible with their 'cell' networks. Sure, they're not finished but they're definitely on the ropes. If we Americans work together there is nothing we can't accomplish. We may fight amongst ourselves but let another nation touch any American citizen–regardless of race, creed or color–we'll defend them with our lives. Most importantly, we have something no other country can ever have: American ingenuity." gman993 asked, "What law makes this legal? What about the U.S. Constitution and the 5th amendment 'nor be deprived of life, liberty, or property, without due process of law'? His crime sounds a lot like conspiracy to murder, which is life in prison not execution. He has not been convicted or charged with any crime." Voice of Reason said, "Unfortunately, this world that we live in can be very violent. In this case I see no other viable option. Anwar al-Awlaki supported and fueled violence against civilians, making himself a legitimate target. We reap what we sow." oldpatriot said, "Yet you have zero evidence beyond this new article. Just like Osama, we didn't see the body, we don't hear the rebuttal in court, we never see the evidence. From what I know of this situation it appears the CIA and DoD committed an assassination of an American citizen on foreign soil." reACTIONary replied, "That is exactly what happened, and no one, especially the government, is trying to present it any differently. The guy has been on the CIA 'Kill or Capture' list for a long time and that is very public knowledge. There is a lot of publicly verifiable information about this guy that would lead anyone to conclude he was exactly what the CIA says he was." GMCRET said, "The administration stated that since he went in the 'operational realm' he was a legitimate target. I doubt the SCOTUS is going to take this up. Good riddance to bad rubbish." It looks like the GOP presidential candidates are going to chase primary votes in Florida earlier than the RNC would like. Florida Secretary of State Kurt Browning is expected to announce Friday that the state will move its GOP primary date to the end of January, which will probably cause a chain reaction of scheduling changes by the four states that typically open the nomination process. According to state officials, the Florida commission set up to examine potential election dates is expected to move Florida's primary to January 31, moving the state’s primary to the No. 1 slot, at least temporarily, on the Republican Party’s primary schedule. The move would be the second consecutive presidential election that Florida has moved its primary date in front of its traditional March spot. In the 2008 race, the state chose to hold its primary on January 29, and the Republican National Committee responded by docking Florida of half of its delegates. The RNC wants only four states – Iowa, New Hampshire, Nevada and South Carolina – to hold their primaries or caucuses before Super Tuesday, and says that any state that chooses to move in front of those four will lose some of its delegates. Florida’s primary shuffle has once again caused a stir among GOP leaders in the first four “carve-out” states, with New Hampshire Secretary of State Bill Gardner telling the Portsmouth Herald that he will do “whatever it takes” to ensure that the state remains at the front of the process to protect “the little guy." 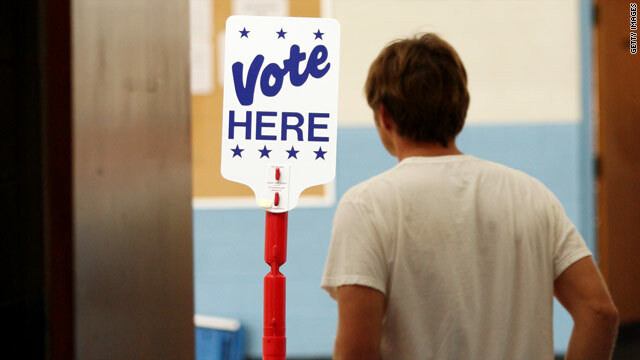 Nevada officials have responded similarly, saying that they might move the state’s caucuses up as early as January 21. 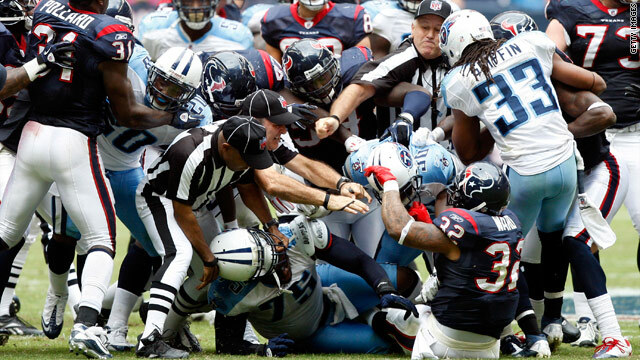 Officials attempt to separate players from both the Houston Texans and Tennessee Titans after a bench emptying brawl in the fourth quarter. Gotta Watch: Fight fight fight! Sometimes after a long work week, there's just nothing better than kicking back, relaxing and watching some downright dirty fight videos. The problem is, there are so many of these videos, it's hard to pick which ones are the best. Here are just a few brawl videos you've gotta watch...starting with one that was newly released of some Florida high school football players throwing some serious punches at the end of a game. Post-game punches - You'd think they would have got their aggression out during the game, but two high school football teams in Florida felt otherwise. Check out the video that got a number of students suspended from the teams. 11:00 am ET - Florida announces primary date - Florida's secretary of state will announce when the state would like to hold its presidential primary next year, amid reports Florida is looking to hold it as early as January. The growth in the United States’ white population last decade is due largely to a rise in the number of the country’s Hispanics, the U.S. Census Bureau says. And the number of people who reported their race as both black and white more than doubled, according to the bureau. 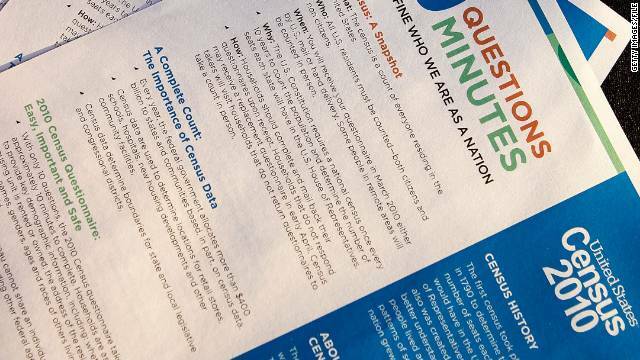 The data were part of two reports - one on the U.S. white population, the other on the black population - from the 2010 Census that the bureau released Thursday. Though the number of whites in the United States rose last decade, and though they still were in the vast majority in 2010, their share of the total population dipped. Because other races grew faster, whites’ percentage of the population - including multiracial whites - dropped from 77% to 74.8%. Nevertheless, the white population did grow by 14.1 million people, or 6.5% (to 231 million). Of that growth, most of it came from people who identified as Hispanic. It is important to note that the bureau considers Hispanic to be a category of origin, not race. Whites who said they were Hispanic accounted for 74 percent of the growth in the U.S. white population from 2000 to 2010, according to the bureau. This includes people who said they were multiracial white, such as white and black, or white and Asian. The number of Hispanic whites - both multiracial Hispanic whites and not - rose from 18.8 million to 29.2 million, and now represent 9.4 percent of the U.S. population, up from 6.7 percent. A British man was severely injured in an attack by a great white shark while swimming this week near Cape Town, South Africa. Michael Cohen, 43, lost his right leg and suffered injuries to his left foot in Wednesday's incident near Fish Hoek Beach. He was in critical condition and under heavy sedation in an intensive care unit on Thursday. According to city officials, the beach was closed when Cohen decided to go for a swim. Warning flags had been raised to alert beach goers that it was not safe to enter the water due to shark sightings. Officials said it was not clear why Cohen ignored the warnings. 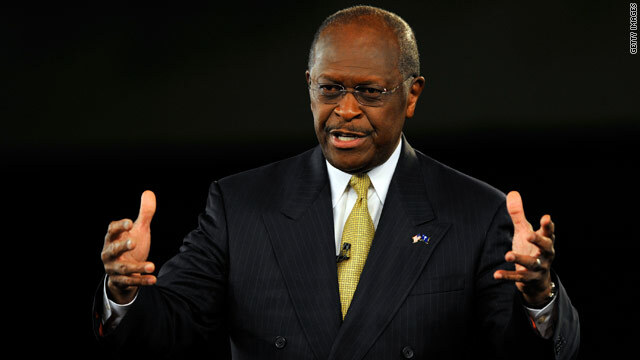 GOP Presidential candidate Herman Cain says black people have been brain washed into not considering a conservative point of view. Is the black community politically brainwashed? Herman Cain, the only African-American running for the GOP presidential nomination said Wednesday the black community is "brainwashed" for traditionally siding with liberal politicians. 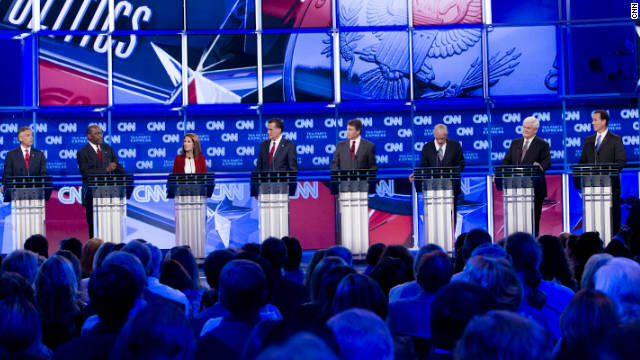 But most CNN.com readers who posted comments said Cain was way off base. 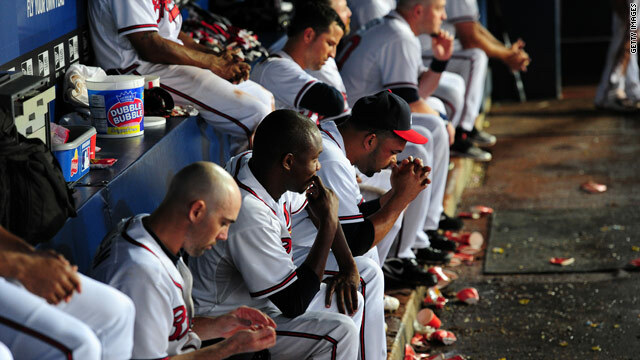 Distraught Atlanta Braves players sit in the dugout after the Philadelphia Phillies pulled ahead 4-3. The Tampa Bay Rays and St. Louis Cardinals won wild card berths in the playoffs after dramatic victories Wednesday thanks to some major-league choking. Trailing 7-0 to the American League East champion New York Yankees in St. Petersburg, Florida, the Rays launched an astonishing comeback to win in the 12th inning. The Rays' victory capped a remarkable turnaround, with the Florida-based team having been nine games behind the Red Sox on September 3. There was similar drama in the National League, as the Cardinals capitalized on the Atlanta Braves' 4-3 loss to the National League East champion Philadelphia Phillies. The Cardinals beat Houston 8-0 to earn the other wild card spot. Naturally, the teams' massive letdowns led to a large discussion of the biggest chokes in history. It'd be easy to count down the biggest ones in sports history (ahem, Bill Buckner), so instead, we're taking a look at pop culture and business to bring you the products and companies that put a whole lot of hype behind something, only for it to massively fail. Let us know what other cultural and business "chokes" we may have missed in the comments below. It has long been the epitome of a total marketing fail. On April 23, 1985, after some apparently insanely misleading taste tests, Coca-Cola trotted out a new formula for its tried-and-true flagship soft drink. It had been 99 years since Coca-Cola had tampered with the recipe, and the company quickly learned to appreciate the “if-it-ain’t-broke” adage. By June, the soft drink king was receiving 1,500 outraged calls a day. Even Coca-Cola had trouble completely spinning it to its advantage, saying consumers “had a deep emotional attachment to the original, and they begged and pleaded to get it back.” The company relented on July 10 – that’s 78 days later, folks – and presented Coca-Cola Classic – i.e. the original formula – to the delight of millions. New Coke was left to the cult following of Max Headroom. And now, you can see Pepsi's brilliant commercial rebuttal. 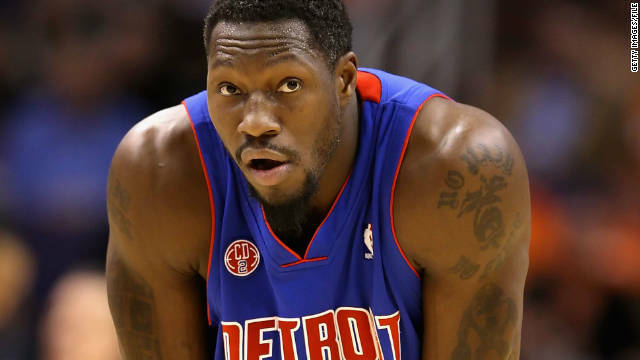 Detroit Pistons center Ben Wallace was arrested on a felony gun charge over the weekend, police say. Detroit Pistons center Ben Wallace was charged with a felony concealed weapon count, which carries a penalty of up to five years in prison, after police pulled him over on suspicion of drunken driving over the weekend, police in Michigan said Thursday. Wallace, a four-time NBA defensive player of the year, was driving erratically when a police officer stopped him about 3 a.m. Saturday in Bloomfield Township, police said. The officer arrested him on suspicion of operating the vehicle while intoxicated. An unloaded pistol was found in a backpack in the vehicle, Bloomfield Township police said in a news release. A breath test at the police station showed Wallace had a blood-alcohol content above .08%, the state’s legal limit for driving, police said. The police department declined Thursday to reveal the exact percentage. Wallace, 37, was charged with unlawful carrying of a concealed weapon and a misdemeanor charge of operating a motor vehicle while intoxicated. The misdemeanor is punishable by a jail term of up to 93 days. [Updated at 3:53 p.m. ET] Venezuelan President Hugo Chavez said Thursday he called and sent a letter to Iranian President Mahmoud Ahmadinejad asking for the release of detained American hikers at the behest of actor Sean Penn. Americans Shane Bauer and Josh Fattal were released from an Iranian prison last week, after 781 days in captivity. Chavez said he considers Penn a friend, and after the two spoke about the hikers, he agreed to add his voice directly with the Iranian president. "If this call and message helped a little, I am glad. Even if it didn't," he said. Fattal, Bauer and Bauer's now-fiancee, Sarah Shourd, were arrested in July 2009, with Iran saying they strayed across the unmarked border between Iraqi Kurdistan and Iran. Shourd was released in 2010. Author James Patterson says it's up to parents, not schools, to find books to get kids reading. Award-winning author James Patterson ("Middle School: The Worst Years of My Life," "Maximum Ride," "Daniel X" and the "Witch & Wizard" young adult series) is encouraging parents to instill a love of reading in their children. He says it’s up to parents, not schools, to find books kids like to get them motivated. Patterson is the 2010 Children's Choice Book Awards author of the year, and in 2008, he created http://www.ReadKiddoRead.com, a site dedicated to helping parents find books that will get their kids reading. 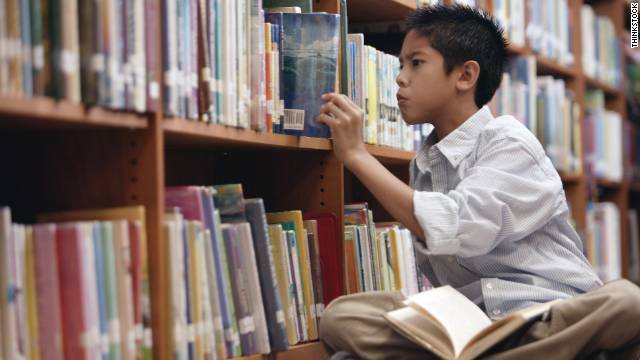 Most CNN.com readers agreed and shared their tips on how to get kids reading. Inmates in the Philippines pay tribute to Michael Jackson by recreating the "Thriller" dance. They are a spectacle of choreographed, spontaneous dancing involving masses of people. Flash mobs take precision and planning to pull off, but when successful, they are a sight to be seen. Inspired by a recent flash mob wedding proposal that puts lots of other proposals to shame, we decided to take a look back at some of our favorite flash mob dance routines. The U.S. House approved a short-term spending measure Thursday to fund the federal government into next week as part of a deal to avert a partial shutdown over increased disaster aid. The measure, which the Senate previously approved, now goes to President Barack Obama to be signed into law before the end of the current fiscal year at midnight Friday.